Modernize is your trusted source when you are looking for replacement windows in San Antonio, TX. Our reliable contractors can help you fix any problems you're having with your home's windows. You can enjoy a more energy efficient home by upgrading, repairing, or restoring your windows today! We are proud of what we do. We want to connect our homeowners to the best local window contractors in a quick and easy process. Compare quotes from the best of the best in your area today! Get free quotes from the best window replacement contractors in San Antonio, TX, ready to complete your project. If you have begun to notice that the windows in your San Antonio home have become difficult to open and close or if you are noticing moisture between the panes, it is probably time to install window replacements. High quality replacement windows are a big investment, but they are one that can save you money by increasing the resale value of your home and lowering the cost of heating and cooling your home. Not all windows are the same and windows that were designed specifically for the climate where you live will perform best in your home. In addition to finding energy efficient windows, there are also specific permit and building codes in the City of San Antonio that you will need to be aware of before making your window purchase. In this San Antonio window buying guide, we will provide you with the basic information you need to find the right windows for your home, including San Antonio climate considerations, city regulations, and how you can pay for your windows. No matter where you live in the United states, there are basic things you need to know before buying windows for you home. Depending on the details of your window installation project, you will need to choose between new construction and replacement windows. Replacement windows are custom built to fit perfectly in the space left behind after the old windows in your home are removed. New construction windows have to be secured directly the studs of your home, so they are only appropriate for new building and remodeling projects where the studs of the surrounding wall will be exposed. After you have chosen between new construction and replacement windows, you will need to settle on the operational design of your new windows. If you are looking for windows that are highly functional, opening and closing easily and simple to clean, a double hung window may be the best choice. These windows are constructed from two vertically hung sashes, both sliding up or down to open and tilting inwards for easy cleaning of the exterior panes. If your main goal for your windows is to bring more natural light into your home, there are a wide variety of stationary arched windows or pictures window options in various shapes and sizes. After choosing the operational model of the windows you would like to install in your home, there are many ways you can further customize your windows. Window frames are available in wood frames, vinyl frames, aluminum frames, and fiberglass frames, and in a wide variety of color and finish options. You can also further customize your windows by choosing from various hardware finishes and glass grid designs. In San Antonio, homeowners are permitted to make major renovations, including window replacements, without hiring a contractor. If you have the knowledge and skills to install your new windows yourself, you will need to obtain the appropriate permit from the San Antonio department of Development Services. If you plan to hire a contractor, it is important you find someone who is properly licensed and insured for work in the City of San Antonio. Any contractors making small improvements, including window installation, in homes must have a Class II license. The Department of Development Services provides both Class II and Class I licenses for $110 upon completion and notarization of the application. If the contractor you hire has employees working for their company, they will also need to carry workers’ compensation insurance. This insurance covers the cost of medical expenses or missed work if one of their employees is injured while working on your home. At this time, there are no federal tax incentives available to San Antonio residents who have installed energy efficient windows in their home. Because of this, more conventional methods for paying for replacement windows will have to be used. Homeowners should consider saving up to pay cash, applying for a zero interest credit card, or a home equity line of credit to cover the cost of new windows. Window replacement costs vary significantly depending on the brand, materials used, and operational style of the window. Still, a loose budget can be created using rough estimates. For instance, vinyl replacement windows typically cost between $450 and $600 each and wood replacement windows are more expensive at $800 and $1000 each. When budgeting for new windows, always include an additional $50 to $100 to cover the installation costs of each window. Even though there are no rebates or tax credits available for new window purchases at this time, there are ways to earn back the money spent on your windows. Several of the major energy companies in San Antonio are currently offering discounts to homeowners who have installed ENERGY STAR® compliant windows. 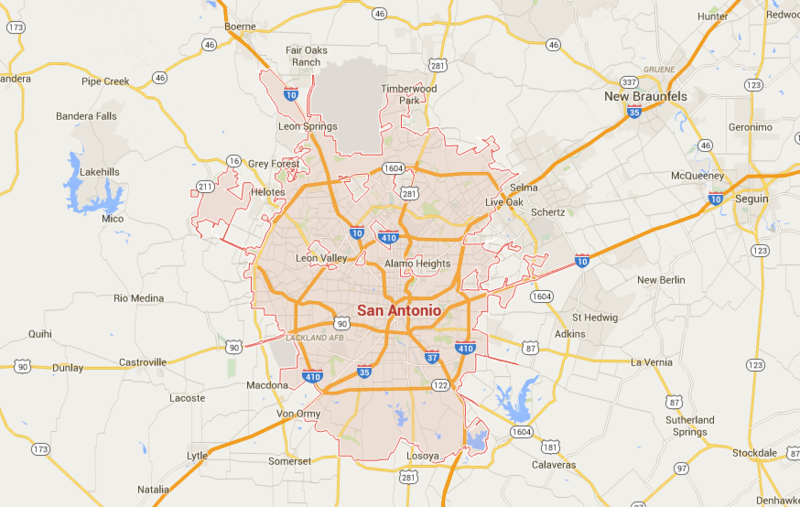 San Antonio is located in both the Southern and South-Central Climate Zones according to ENERGY STAR® guidelines. Homeowners who live in either of these climate zones normally find they rely heavily on their cooling system for much of the year, and very little on their heating system during the winter months. The climate in San Antonio is very warm and humid, with an average high of 95 degrees during July and August. During the winter, San Antonio rarely experiences snow and the average low during the coldest month, January, is 39 degrees. Windows that are designed specifically for hot and humid climates will be the best fit for your San Antonio home. The simplest way to determine if a window will work well in your environment is by reading the National Fenestration Ratings Council label that is located on new windows. In San Antonio, the two primary ratings you should be concerned with are the U-Factor and Solar Heat Gain Coefficient (SHGC) ratings. The amount of heat that can pass through a window is represented by the U-Factor rating. When the U-Factor rating is low, that means the window is resistant to heat leaving or entering the home. In San Antonio, ENERGY STAR® requires all new windows purchased to have a U-Factor rating of no more than 0.40. The second rating, the SHGC, indicates how much solar radiation can pass through the window. In a hot climate, like San Antonio, solar radiation can overheat a home and increase utility costs during summer months. In San Antonio, ENERGY STAR® requires a SHGC rating of no more than 0.25. Since San Antonio is known for high humidity, another important rating to consider is the condensation resistance of the window. This number represents how well a window can protect your home from excess moisture in the environment. A higher condensation resistance rating represents a window that is more resistance to humidity. Living in San Antonio, windows that meet ENERGY STAR® requirements can lower your monthly heating and cooling costs, saving you as much as $266 in utility costs each year. If you choose to sell your home, you can also expect to experience a return on investment of 70% or more. Of course, saving money isn’t the only advantage to installing energy efficient windows, you will also be living a greener life by lowering your use of non renewable energy to heat and cool your home.